"One Polished Pony" is a dashing turquoise frost. Once dried apply "One Polished Pony". Showing 2 of our total 3 reviews, with an average rating of 5 stars. 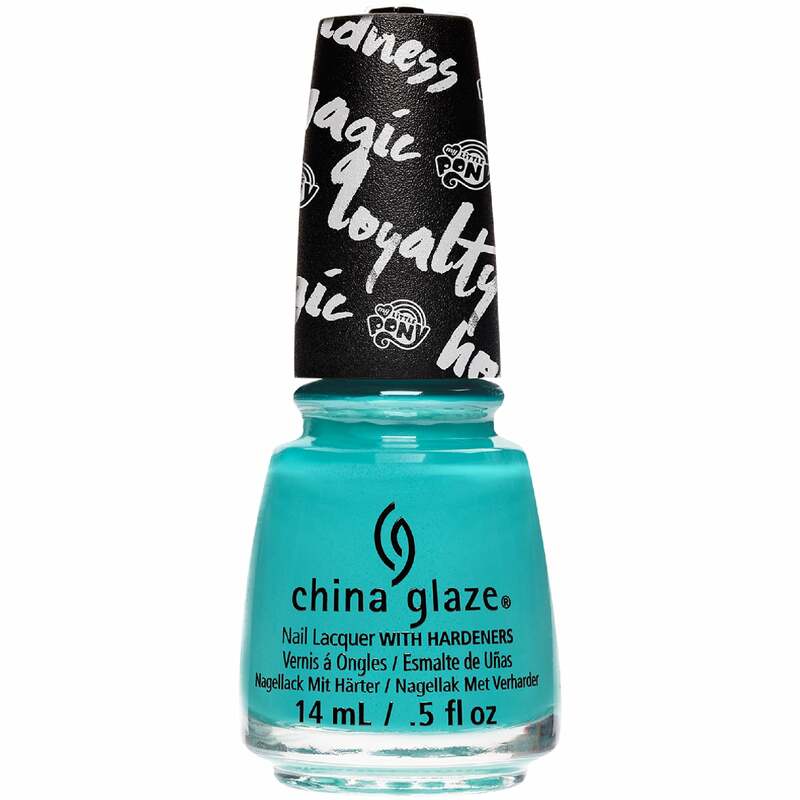 Read all 3 reviews for China Glaze My Little Pony 2017 Nail Polish Collection - One Polished Pony (83988) 14ml. Really love this shade with the shimmer in it especially when the sun hits it, looks so pretty. Formula really good only need 2 coats. This is a wonderful light turquoise blue shade with soft silver shimmer, lovely formula, easy to work with and perfect for all seasons. Highly recommended. Fast delivery from NPD too.